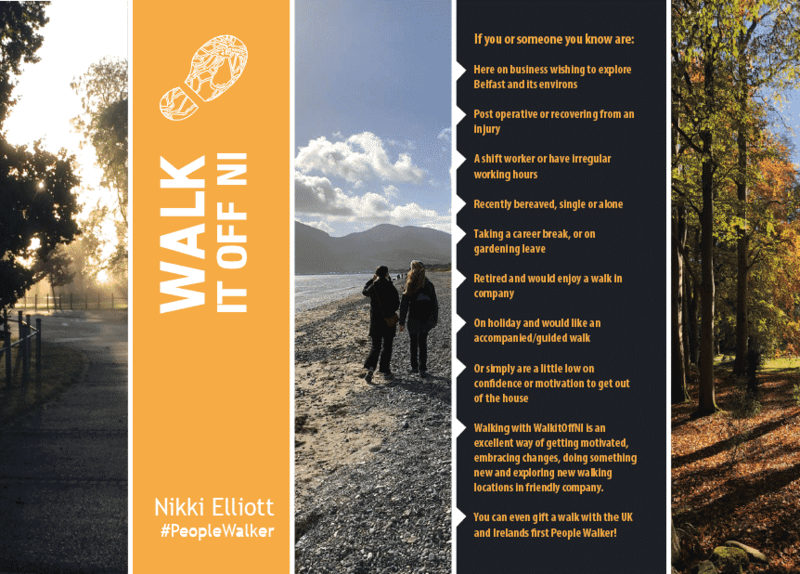 We were delighted to work with Nikki Elliot of WalkitoffNI to launch her unique accompanied walking service. Nikki saw the need to offer women an alternative to fitness apps and goal setting – something that is more about peace, space, motivation, exploring and companionship. Working with Nikki to capture the essence of WalkitoffNI in words and images, we created https://walkitoffni.com/ a website that Nikki can easily update herself. We also designed the flyer and logo you can see here. 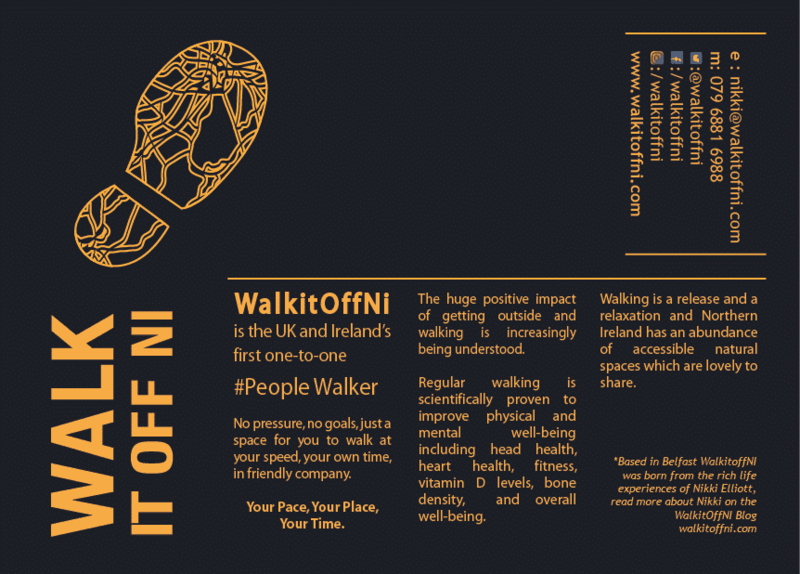 The logo features a map of greater Belfast on the sole of the walking boot. Next: Next post: We think our logo is as hot as their pizza!